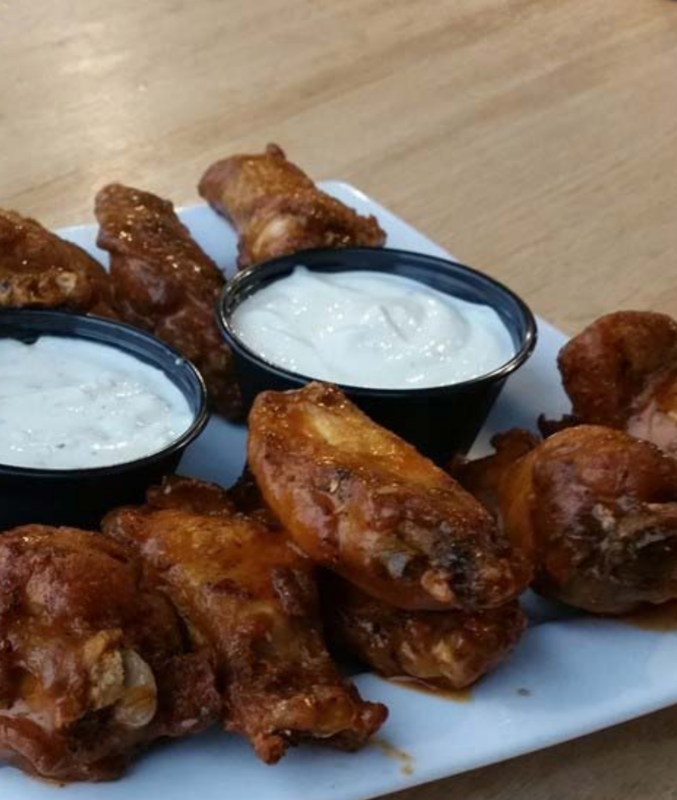 Don’t miss our 50% off Wings Special, every Sunday! Wings must be ordered by the dozen. 50% off offer not valid with other coupons, discounts or offers. Dine-in only. Welcome to Warehouse Woodfired Eatery & Sports, located in downtown Deerfield, Illinois. We are a new family-friendly, community-based restaurant serving Deerfield and the surrounding North Shore community. Come enjoy lunch and dinner in a newly renovated and expanded dining room, or stop into our full-service bar featuring craft, domestic and imported draft beers. Warehouse also offers a full line of bottled beer and wine, plus mixed cocktails from our bartender’s personal drink list. Warehouse is also happy to invite you into our new lounge. Want a quieter space to enjoy an after-work cocktail or an evening drink? Grab a seat on one of our couches in front of the fireplace and relax. The lounge features a TV and background music. There is no better place in Deerfield to watch sports than Warehouse. We offer our sports enthusiasts 30 TVs, including three 80-inch screens throughout the dining room and bar area. A soundproof private dining room has been recently remodeled for corporate seminars and family parties. It offers three large TV’s that can be used for video, PowerPoint or private viewing events. Our lounge also can be reserved as part of your private dining package (a fee does apply). Warehouse offers a rooftop patio (June through August) that overlooks Jewett Park and the Deerfield train station. Enjoy a meal or visit our full-service bar on those warm summer nights. We also offer private dining on our rooftop.